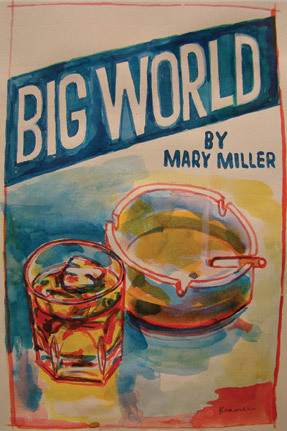 HOBART is getting in on Vouched as well, so I’ll be able to have some copies of Big World by Mary Miller on the table. I snagged a copy of this book from the HOBART table at AWP in Denver a few months ago (unfortunately after reps from the convention center put the kaibosh on HOBART’s free shot of bourbon w/ purchase) and read the entire thing on my flight home. A friend of mine used to say there are two kinds of people in the world: those who underline in their books, and those who don’t. I underlined a lot in Big World. Stoked that I’ll be able to offer it at the Vouched table.